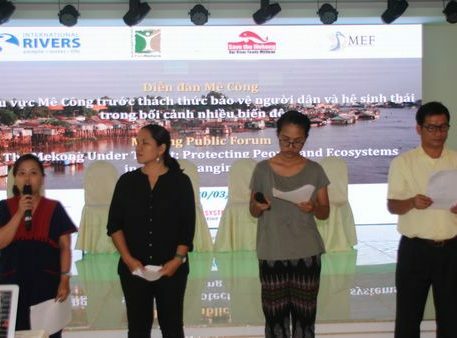 On March 20th, 2018, International Rivers, PanNature, Mekong Environment Forum, and Save the Mekong Coalition co-organized the forum “The Mekong Under Threat: Protecting People and Ecosystems in a Fast-Changing Basin” in Can Tho, Vietnam. The forum is to facilitate a public platform for exchanging information and perspectives on existing challenges for the Mekong basin. 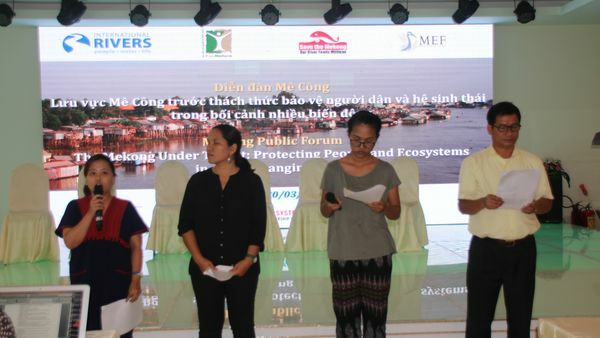 This event provided space for community representatives from Lower Mekong basin countries to share their views on changes to the river ecosystems, impacts on their livelihoods and everyday life, as well as express their concerns and recommendations to policy-makers in the region. 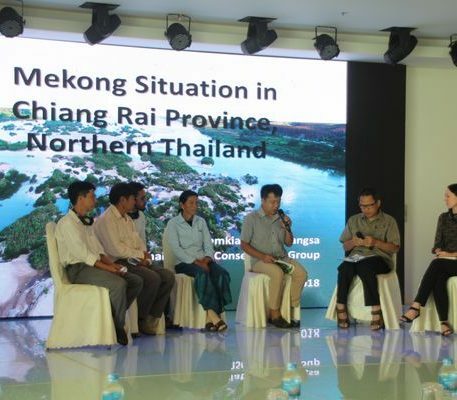 On the other hand, relevant agencies and scientists joined the forum to respond to voices of local communities and share their perspectives on impacts of climate change and hydropower development on the Mekong basin. Forum discussions included alternatives for energy demand and proposals for ways toward sustainable and fair development at basin-scale for countries to realize UN SDGs. More than 150 representatives from government agencies, civil society organizations and communities from Cambodia, Laos, Thailand and Vietnam participated in this forum. On the occasion of World Water Day, the Save the Mekong Coalition, together with civil society and community partners from Thailand, Lao PDR, Cambodia and Vietnam, make this statement to express our concern for the Mekong River and the communities our river supports. The series of eleven large hydropower dams planned on the Mekong River’s lower mainstream, along with over a hundred dams planned on Mekong tributaries, pose a major threat to the ecological health and economic vitality of the region. These dams place the livelihoods and food security of millions of people at risk. 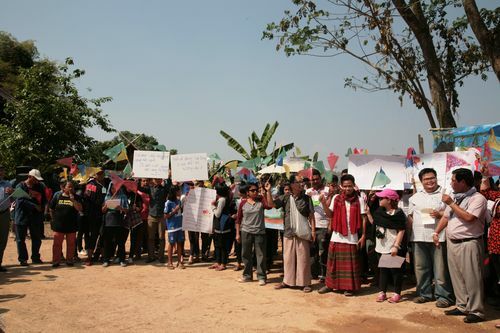 We are extremely concerned by plans for extensive hydropower construction, which fail to consider the knowledge, cultures, and voices of the Mekong Basin peoples whose livelihoods and beliefs are deeply connected with the Mekong River. Planning and decision-making processes for hydropower and other developments on the Mekong River lack public participation, transparency and accountability. 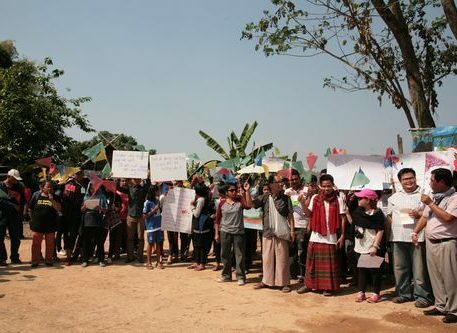 The Xayaburi and Don Sahong Dams, under construction on the Lower Mekong mainstream, are now nearing completion, yet comprehensive information on these projects has not been made public despite repeated requests from communities, civil society and other stakeholders. This includes details of project design and assessments demonstrating how mitigation measures such as fish passages will prevent the destruction of Mekong basin fisheries and other impacts on the river ecosystem. Despite this lack of transparency, the Xayaburi Dam is being touted as a model for other mainstream Mekong dams. Decision-making on hydropower projects is made on a project-by-project basis, ignoring cumulative and basin-wide impacts. We call on the Lower Mekong governments and the Mekong River Commission to ensure that the findings of the MRC Council Study and other basin-wide studies, which provide assessment of the losses and trade-offs inherent in these projects, meaningfully inform decisions on individual dam projects. We call into question the need for destructive hydropower development in the Mekong Basin to meet the region’s energy and development needs. Renewable energy technologies, demand-side management and energy efficiency measures should be fully considered in assessing alternatives to destructive hydropower projects on the Lower Mekong mainstream and within the basin. We urge regional governments to prioritize introduction of renewable and decentralized electricity technologies that are increasingly available and cost-competitive, without the harmful social and environmental impacts of large-scale hydropower dams. where public participation and free, prior informed consent are weak or nonexistent. Mekong citizens must be meaningfully involved in the development of national power development plans and proposals for regional energy trade. encourage investment in renewable energy, the Mekong region could enjoy an era of truly sustainable growth without losing the benefits that healthy rivers bring. On the occasion of the Mekong River Commission’s 24th Council Meeting, the Save the Mekong Coalition writes to express our serious concern over the ongoing development of hydropower projects on the Mekong mainstream and within the basin, despite evidence that these projects are undermining regional food security and deepening poverty. Over 60 million people depend on the health of the Mekong River and its tributaries for food, water, transport and many other aspects of their daily lives. Rapidly declining costs now place renewables such as wind and solar close to par on price with hydropower, with far fewer environmental and social impacts. Emerging technological advances in distribution and storage mean that renewables such as solar and wind are an increasingly feasible way to meet energy needs, and better able to ensure electricity access for populations who currently lack this access. Nevertheless, vested interests within the public and private sectors remain a strong driving force behind continued dam construction. The 24th Council Meeting is an opportunity for the Mekong River Commission (MRC) to prove true to its vision to promote an economically prosperous, socially just and environmentally sound Mekong River Basin. We urge the Lower Mekong Governments to commit to a moratorium on dam building while regional policies and infrastructure to support renewable alternatives are put in place. Numerous scientific studies have shown that the series of eleven large-scale hydropower dam projects currently proposed and under construction on the Mekong mainstream threaten the region’s fisheries, and consequently the food supply of millions. If built, these dams would block the major fish migrations that are essential to the life cycle of around 70% of the Mekong River’s commercial fish catch. This would result in a total estimated fishery loss of 26 to 42%, placing at risk the livelihoods and food security of millions of people in the Lower Mekong Basin. Food security is a fundamental foundation on which other important forms of development are built. Wild-capture fisheries are a vital source of nutrients to rural families throughout the Mekong region. As such, protection of wild-capture fisheries should be central to poverty-reduction efforts. Any reduction of fish catch will increase the incidence of malnutrition that is already a serious problem in the Mekong region, further deepening poverty. In addition to providing the region’s main source of protein, the Mekong’s waters are essential for household use and maintaining agricultural productivity across the basin, supporting the cultivation of rice and other products. . The Mekong supplies people in the region with up to 80% of their animal protein needs. A 2013 report published by Inland Fisheries Research and Development Institute (IFReDI) of the Fisheries Administration in Cambodia shows that the combined effects of mainstream dams in Cambodia and population growth could reduce the country’s consumption of fish from 49kg to as little as 22kg per person per year by 2030, amounting to a 55% reduction. This would have a profound impact on child nutrition in Cambodia, where nearly 40% of Cambodian children under five are chronically malnourished, over 28% are underweight and 10.9% are acutely malnourished. Fish and fish products are critical sources of iron. In Cambodia, an estimated 70% of pregnant women and 74% of children under the age of five suffer from iron deficiencies. Iron shortages rob people of energy, ultimately perpetuating the cycle of poverty. Farmers and fishers downstream in Vietnam likewise face declining yields as a result of mainstream Mekong dams, putting at risk Mekong Delta food exports worth $10 billion annually. The Mekong Delta, which produces more than half of Vietnam’s rice and feeds over 145 million people in Asia, will be severely affected as dams alter flow regimes and prevent vital sediment from reaching the area. The MRC has thus far failed in its mission to ensure the mutually beneficial development of the Mekong River while minimising potentially harmful effects on the people and the environment. Scientific studies have been disregarded in the rush to push forward environmentally and socially destructive dam projects, placing at risk the food security of the region’s most vulnerable citizens. Decision-making processes are opaque and non-participatory and consultation with affected communities remains absent. The MRC must reform its procedures to strengthen processes and opportunities for stakeholder engagement and public participation in decision-making, especially the participation of riparian communities. Planning and decision-making for the development of hydropower projects on the lower Mekong River mainstream has to-date taken place on a project-by-project basis. The problems caused by this piecemeal approach are compounded by the absence of adequate baseline data, transboundary or cumulative impact assessments for mainstream projects already under construction, and no comprehensive plans for long-term monitoring of project and basin-wide impacts. The Prior Consultation process has been characterized by weak scientific analysis, and a lack of due regard to the legitimate concerns of local people, who stand to lose the most from damage to the river’s resources. These problems have persisted through the Xayaburi, Don Sahong, and Pak Beng Dam planning, approval and Prior Consultation processes. In early November or 2017, Thailand’s Supreme Administrative Court admitted for consideration an appeal in the lawsuit regarding harms caused by the Pak Beng Dam. 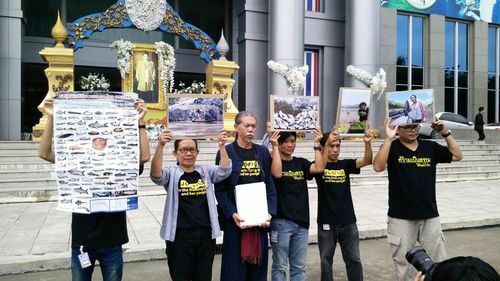 The court’s acceptance of the case is an acknowledgement of Thai governmental agencies’ responsibility under Thai law and the 1995 Mekong Agreement to inform and consult with its citizens on the cross-border impacts of projects such as the Pak Beng Dam. The decision signifies a growing regional trend in favour of public participation, accountability and transparency in the planning, development and approval of large infrastructure projects. Governments have justified the mainstream Mekong dams as necessary to meet growing energy demands in the region. In fact, the 11 mainstream projects would only provide about 8% of forecast Lower Mekong Basin power demand. If the mainstream projects are not pursued, there would be minimal risk for electricity security in the Lower Mekong Basin countries and the forecast electricity demand could be supplied by alternative energy sources such as solar and biomass and improved energy efficiency. Alternatives already exist to meet this demand in a more responsible and sustainable way. In the coming years, new GMS hydropower projects will be competing with ever-cheaper options, including more competitive natural gas prices as well as increasingly affordable and efficient solar and wind technologies. Prices for non-hydropower renewables are falling at a rate far faster than anticipated. Between 2015-2016 alone, the global average price of solar dropped 13% and wind dropped 10.75%. Rapidly declining costs now place solar close to par on price with hydropower, with fewer environmental or social impacts. There are also significant opportunities for accessing support for wind and solar power development through climate finance assistance to developing countries. The 24th Council Meeting is an opportunity for the MRC and Lower Mekong Governments to provide the leadership and vision to drive a future that is sustainable and prioritizes preservation of the region’s rich fisheries and other riverine resources. Rather than continuing to support environmentally and socially destructive dam projects, the MRC should recognize the potential of innovative renewable and decentralized electricity technologies that are now readily available and cost-competitive. We urge the Lower Mekong Governments to commit to a moratorium on large-scale hydropower projects while regional policies and infrastructure to support renewables are put in place. Doing so would help ensure truly sustainable growth for the region without losing the benefits that healthy rivers bring. intake in poor, rural households. Food Chemistry 104 (3): 1226-1235. Baran, E., Jantunen T., and Chong C.K. 2007. Values of inland fisheries in the Mekong River Basin. WorldFish Center, Phnom Penh, Cambodia. 58 pp. UNDP 2012. Country Analysis Report: Lao PDR. Vientiane, Lao PDR: United Nations. Intelligent Energy Systems Pty Ltd (IES) and Mekong Economics (MKE) (2016). Alternatives for Power Generation in the Greater Mekong Subregion: Volume 1 Power Sector Vision for the Greater Mekong Subregion, World Wild Fund for Nature. On Monday 19 June, the Joint Committee of the Mekong River Commission (MRC) will meet for a special session to discuss the Prior Consultation process for the Pak Beng Dam, and the positions of MRC member countries as expressed in their formal reply forms. 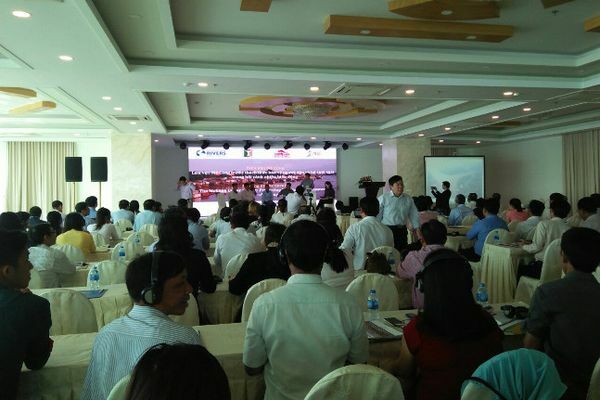 The meeting marks the end of the first 6 months of the Prior Consultation process for the Pak Beng project. There are significant outstanding concerns regarding the quality of studies and information relied on during the Prior Consultation to assess and understand the project’s environmental and social impacts on the Mekong River. This includes the project’s transboundary impacts in Thailand and other neighboring countries, and its cumulative impacts with other existing and proposed hydropower projects in the Mekong basin. There are further concerns over the quality of national consultations conducted and public participation in the Prior Consultation process. More time is needed, within the Prior Consultation, for further baseline studies to be conducted by the developer, and further information provided to member countries with which to meaningfully evaluate the expected impacts of the Pak Beng Dam. Under the 1995 Mekong Agreement and the Procedures for Notification, Prior Consultation and Agreement (PNPCA), it is within the purview of the Joint Committee to extend the time period for Prior Consultation. It is also the responsibility of the Joint Committee to respond to concerns that arise within the Prior Consultation process. The MRC’s draft Technical Review of the Pak Beng Dam’s project documents, including the Environmental Impact Assessment (EIA) and project documents found significant gaps in data provided on fisheries, hydrology and sediment, and concluded that the transboundary impacts of project had not been fully assessed. An independent expert review of the Pak Beng Dam EIA, commissioned by International Rivers, also concluded that the information provided by the developer was insufficient to evaluate the full extent of the impacts and consequently the viability of proposed impact mitigation measures. Analysis of the Transboundary and Cumulative Impact Assessment found an absence of meaningful public participation in preparation of the study and no consultation with communities who would be affected by the project. 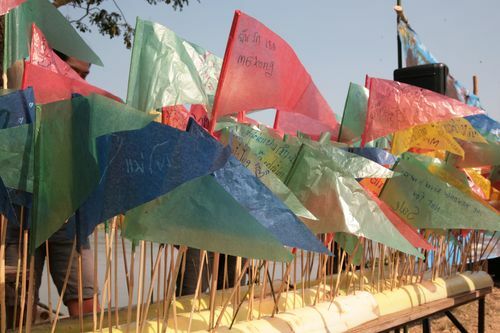 At a national level, civil society and local communities have raised strong concerns regarding the limitations of consultation meetings held in Cambodia, Thailand and Vietnam. These meetings have been characterized by a lack of representation, in particular from affected communities, as well as limitations in project information presented and the scope of discussion. The project developer did not attend consultation meetings at a national level and therefore were not able to respond to the questions of participants. 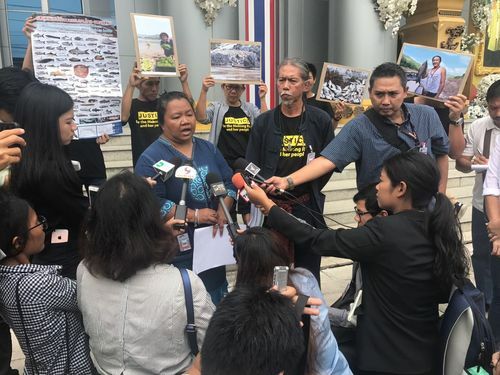 In Thailand, concern over the transboundary impacts of the Pak Beng Dam, and the weakness of national level consultation and information sharing has prompted a lawsuit filed by Thai Mekong communities in Thailand’s Administrative Court against the Thai National Mekong Committee. Communities in Thailand are extremely concerned about the transboundary impacts of the Pak Beng Dam. Given the location of the project close to the border to Thailand, there is an urgent need for adequate assessment of the dam’s transboundary impacts. Furthermore, decision-making must include participation of local communities whose livelihoods and food sources will be affected as a result of the Pak Beng Dam. This includes communities throughout the lower Mekong River Basin whose way of life depends on the Mekong River and is at risk due to dam construction. The MRC Secretariat has framed the Prior Consultation as focused on steps to mitigate and minimize harm resulting from the Pak Beng Dam. However, without sufficient baseline data and adequate impact assessments, it is not possible to develop viable and context specific mitigation measures, especially in an ecosystem as complex as that of the Mekong River. With both the Xayaburi and Don Sahong Dams, construction commenced in the absence of necessary baseline studies. As the projects have advanced, very little information has been made publicly available about the progress of ongoing studies and impact monitoring. The Pak Beng Dam must not follow the same path as the Xayaburi and Don Sahong Dams. Mekong governments must push for adequate project studies to be conducted before a decision is made to proceed with the dam and before project agreements are signed and construction begins. The timeframe for the Prior Consultation process for the Pak Beng Dam must be extended to allow for updated studies to be evaluated by MRC member countries. This should include consideration of the final findings of the MRC Council Study, which will be completed in December 2017. There is an urgent need for shared, regional decision-making that is based on quality scientific studies and on a broader awareness and understanding of transboundary and cumulative impacts of dams on the Mekong River mainstream. 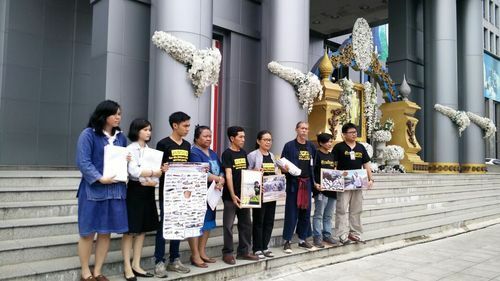 On Thursday, June 8, 2017 the Thai Network of Eight Mekong Provinces filed a lawsuit against relevant Thai government agencies for their involvement in the Pak Beng Dam on the Mekong River, and the expected transboundary impacts on communities in Thailand. The Pak Beng Dam is the third dam planned for construction on the lower Mekong River mainstream (following the Xayaburi and Don Sahong Dams). 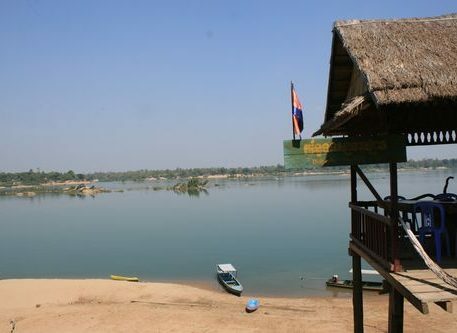 The dam will be located in Oudomxay Province, Northern Laos, blocking the river about 92 kilometers downstream from Thailand in Wiang Kaen District, Chiang Rai Province. China’s Datang Corporation is developing the 912 MW project. Approximately 90% of the electricity is planned for sale to the Electricity Generating Authority of Thailand (EGAT), for export to Thailand. The Pak Beng Dam is currently undergoing Prior Consultation in accordance with the Procedures for Prior Notification, Prior Consultation and Agreement set out under the 1995 Mekong Agreement. The initial 6-month Prior Consultation period will conclude on June 19th. As part of the Prior Consultation process, the Mekong River Commission (MRC) conducted a Technical Review of the environmental and social impacts studies for the Pak Beng Dam. The review focused on a number of critical issues including, hydrology, sediment, fisheries, dam safety, navigation, and social and transboundary impacts. The MRC’s Technical Review team found significant shortcomings in the reports submitted to the MRC in November 2016. There was very limited information provided in particular regarding fish species that would be impacted by the dam. Data collection was extremely limited, fish sampling was carried out over a few days at six stations in 2011, in the dry and rainy season. Experts conclude that the proposed fish passage, designed to mitigate the impacts of the Pak Beng Dam on fish migration is unlikely to be effective. Furthermore, reviewers found that studies of the Pak Beng’s transboundary impacts were inadequate, especially in relation to the expected impacts in Thailand. Thailand has held four meetings regarding the Pak Beng Dam, as part of the Prior Consultation process, and at each meeting Thai people expressed significant concerns about the transboundary impacts of the dam, both upstream and downstream. 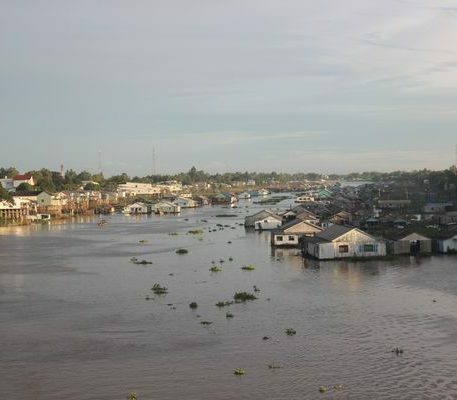 Given the inter-connected nature of the Mekong River, if the water level in the river rises by only 50cm-1m, there will be impacts. Villagers in Thailand are particularly worried about flooding, as a result of the dam’s reservoir. Information shared at the Pak Beng forums in Thailand was very limited, and so people have been left with many questions regarding the impacts of the project. Today when dams upstream in China release water during the dry season, it causes flooding downstream. If the Pak Beng Dam is built, villagers in Chiang Rai will be living in between two dams. 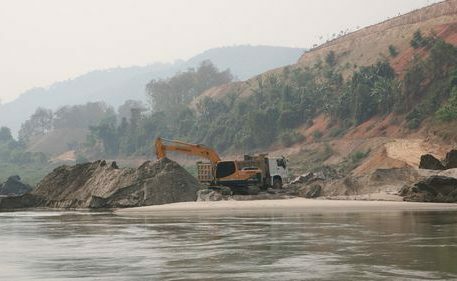 The lawsuit is the second case filed against Thai government agencies regarding cross-border impacts from projects outside of Thailand, and which deals with transboundary environmental and social impacts of hydropower projects on the Mekong River. 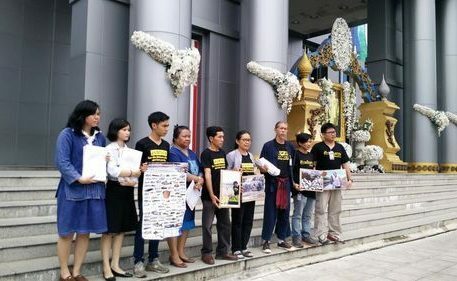 The lawsuit calls for the Thai agencies named to protect the rights and freedoms of people living in Thailand. Please read vietnamese version here. On the occasion of the 23rd Meeting of the Mekong River Commission (MRC) Council, the Save the Mekong Coalition has issued a Statement to express our serious concern over the ongoing development of hydropower projects on the Mekong mainstream, despite unresolved issues over transboundary and cumulative impacts of projects already under construction and a breakdown in shared regional decision-making. We are further concerned about the status of the MRC Council Study, intended to inform decisions regarding development on the Mekong River, and request information on the status of the study, as well as of the review of the 1995 Mekong Agreement’s Procedures by the MRC’s Joint Platform. The decision-making processes for the Xayaburi and Don Sahong dams, now under construction on the Mekong mainstream in Lao PDR, ignited significant controversy within the Mekong region and internationally. Requests for information and concerns over project impacts expressed during the Prior Consultation procedures were not formally addressed, including calls for extension of the consultation period, thorough baseline information, and studies of transboundary impacts. Both projects proceeded despite the absence of agreement or resolution of concerns within the MRC’s Joint Committee and Council. The Mekong River is a vital shared resource for the region. There is an urgent need for change in the decision-making processes that are informing hydropower development in the Mekong Basin to ensure a sustainable future for the river and her people. Prioritize organizational reform, including an assessment of the future of the MRC and the 1995 Agreement, with participation by the public and Mekong communities. The Mekong Agreement and procedures must be transparently reviewed and adapted in accordance with regional processes and developments in international law. 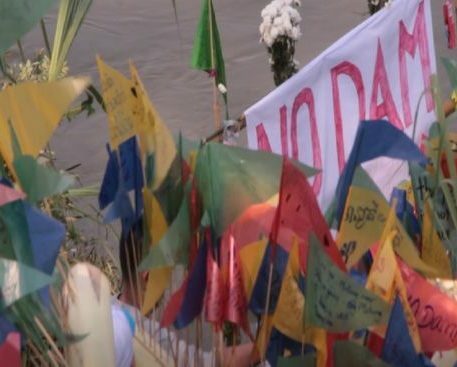 Halt further decision-making over Mekong mainstream dams, until such a time as decisions can be informed by and based upon meaningful consultation, particularly with local project-affected communities, and sound basin-wide studies which consider the transboundary and cumulative impacts of mainstream dams. For a project with a relatively low generating capacity, due to its location in an area critical to Mekong fish migration, the potential impacts of the Don Sahong Dam on regional fisheries are severe. 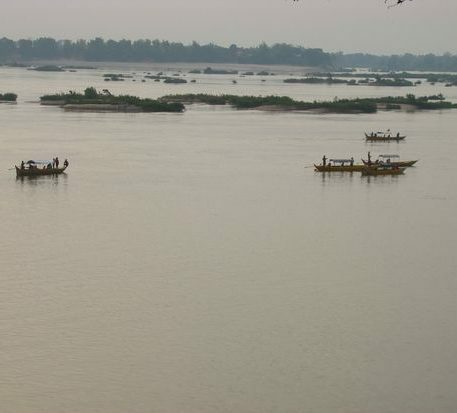 The food security of thousands of people in the Mekong Basin is dependent on many of the migratory fish species which have traditionally passed through the Hou Sahong channel. Inadequate information has been made available to date regarding the scale and scope of the project’s impacts and the monitoring efforts that are informing the project’s ‘adaptive and flexible approach’ to impact mitigation. Furthermore, we are concerned that the developer is considering not implementing all the mitigation measures outlined in the project’s 2013 Environmental Impact Assessment (EIA). Although the developers have stated that extensive fish monitoring will be undertaken, limited information has been made available regarding baseline data and the ongoing monitoring of fish species and their migration patterns. Recent studies on the company website do not include reports detailing monitoring data and analysis since project construction commenced in January. People potentially affected by the project currently have little means to seek accountability. This includes transparency over the project’s impacts and guarantees that the full range of measures available will be implemented to mitigate adverse impacts on fish migration and the threats to local communities and regional food security. Halt construction of the project until comprehensive information regarding the project’s environmental and social impacts and addressing the concerns raised by Mekong governments has been made publicly available. The open letter in Vietnamese. For more information please contact Maureen Harris at International Rivers: mharris@internationalrivers.org. In advance of the Mekong River Commission’s Informal Donor Meeting this week, the Save the Mekong Coalition writes the open letter to express serious and ongoing concern over the outstanding issues and questions surrounding hydropower dam construction on the mainstream of the Mekong River. Reconsider their support to the MRC if it remains unable to fulfil the purpose of ensuring adherence to the spirit and principles of the 1995 Mekong Agreement. The Open Letter: English, Thai versions, and Vietnamese news on the letter (updated).